He describes himself as ‘I draw comics and zines and I spray paint on walls. Simple.” Phlegm is a multi-talented artist. The Welshman, who lives in Sheffield, combines all his talents in his murals. He applies the unique figures – always drawn in pen and black Chinese ink – from his comics to large surfaces. 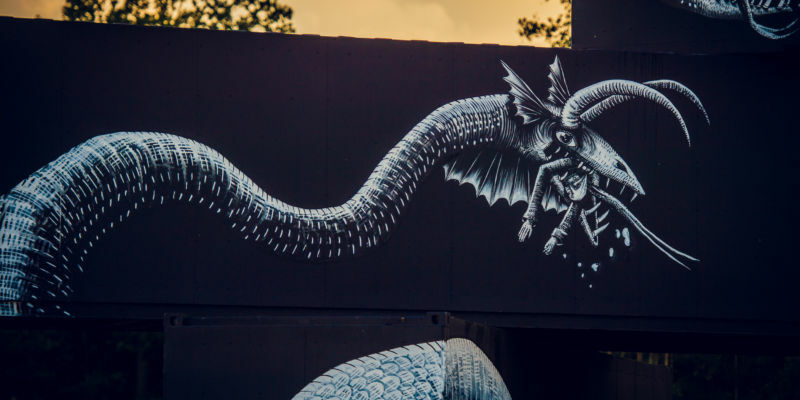 Phlegm’s street art always tells a story. He is loved all over the world. 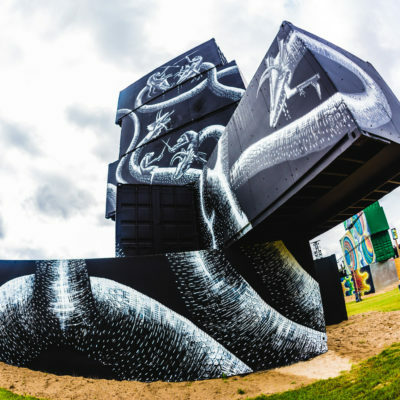 His solely monochrome street art adorns walls from Ostend to London, from Oslo to Jacksonville, from Reykjavik to Dunedin (NZ). The figures are mythical and very detailed. 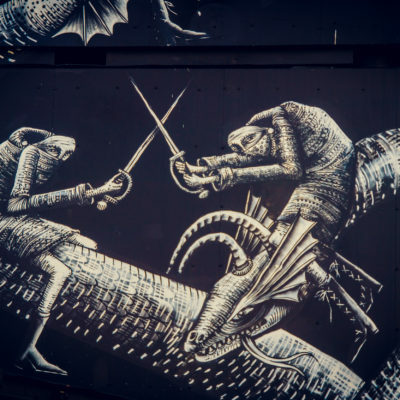 Phlegm’s surrealistic world is a pleasant place to stay. He describes himself as ‘I draw comics and zines and I spray paint on walls. Simple.” Phlegm is a multi-talented artist. The Welshman, who lives in Sheffield, combines all his talents in his murals.